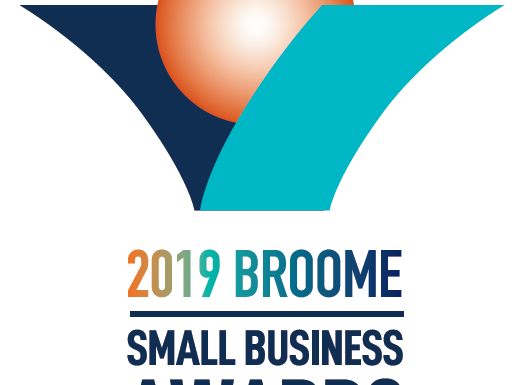 There are a number of benefits to entering the Broome Small Business Awards – it’s not just about fame, fortune and bragging rights. There are also significant marketing and business management advantages to be gained. Incredible exposure for your business; winning awards is a marketer’s dream – the opportunities for promotion are huge. Winning, or becoming a finalists, builds credibility for your business in the local community and industry and sets you apart from you competitors. Customers also like the assurance of buying from an award winning business. They are a great way to boost morale and bring your staff together, particularly if you involve everyone in sharing their knowledge to write a winning submission. Your submission is like a business plan, it is a perfect vehicle for you to analyse your performance over the past 12 months and identify areas of growth. Gathering information helps you to systemise your business and formally record what is often only in your head. It reaffirms why you started they business in the first place and helps you to rediscover what makes your business unique. The structure of an award submission gives you the tools to display important information in an easy to view graphs and tables which are perfect for ongoing business management. Asking questions like ‘what has your business done for the local community?’ and ‘in what way is your business innovative?’ provides you with great material for future PR campaigns. The prize! Aside from the accolades that come with winning, there can often be a significant prize which is obviously a bonus. Finally, once you have written one award submission you can tweak the same material to enter other award programs. With the addition of more categories, and simpler selection criteria and easy submission process, don’t miss out on giving the recognition your business deserves.